Are YOU an enthusiastic and organised student ready to help generate and facilitate public engagement with: exhibitions, educational workshops & events. Working closely with the Gallery Manager and with the Gallery Curator to generate marketing & publicity designs (posters/ flyers etc), and then to circulate this information using multiple social media platforms plus free event listing services. Supporting the day to day running of the gallery: hosting, welcoming visitors, sharing information about current and upcoming events, supporting volunteers and keeping the public areas presentable. There will be two exhibition change-overs during the summer which creates a wonderful learning opportunity in the curating/ installation process. A Canadian citizen or legally entitled to work in Canada. Flexible working schedule (will require some weekend/evening work) with time off in lieu of overtime. 32 hours per week at $13.50 p/h. 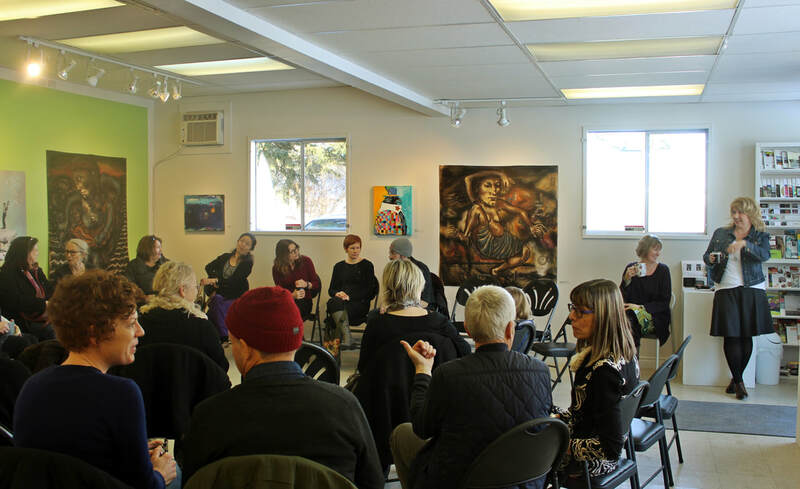 The Lake Country Art Gallery provides a unique professional development and on-site learning experience to a qualifying student each year. As a Gallery assistant, you will get hands-on experience working in a non-profit organisation while also gaining valuable work experience for your future career or further education in the arts. This summer employment opportunity will offer a student the chance to perform a variety of tasks supported with supervision and mentorship from gallery staff & directors. You will be helping to build community engagement and cultural citizenship in Lake Country. You will significantly contribute to the visitor’s experience as well as help develop and coordinate events that will reach out the wider community.